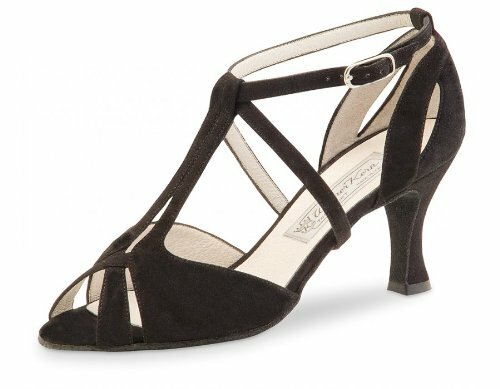 Unparalleled Werner Kern Model Francis Black Suede dancing shoe with T-strap and a filigree front part as well as a beautifully formed heel. The shoe has individually adjustable crossed instep and heel straps beneath the sole as well as at the heel in connection with the T-strap offers a perfect and extremely comfortable fit. Soft suede leather that individually adapts to the foot in no time.